Quite a few restaurants opened in the Capital Region in 2017! If you haven't been to the following Albany area eateries just yet, you might want to make it your New Years Resolution to do so. Also, see restaurants that will be opening in the near future that you'll want to keep your eye on. The Bradley, which was previously Bradley's Tavern, opened in Troy in April. The new owners are attempting to keep the same dive bar ambience at the old neighborhood hangout. A casual dining spot called C.H. Wraps Grill opened in the spring in Colonie where Dave's Exotic Burgers used to be. They serve tacos, burgers, wraps, and gyros. The Cuckoo's Nest opened in November in Albany at the former location of The Ginger Man. It was opened by the same owners of Crave. This restaurant is focused on fresh, innovative takes on Southern cuisine. Elevation Burger opened in Latham in February, adding to the growing list of burger eateries in the area. This burger restaurant focuses on fresh, organic, free-range meat. Emmanuel Thai Restaurant opened at the beginning of the year on an easy-to-miss cobblestone street in downtown Albany. You can check out great Thai food here like Massaman curry with chicken, Pad Thai, and more. The Hungry Hollow is a family-owned sandwich shop in Albany that opened in April and serves breakfast and lunch on weekdays. The restaurant is located in the up-and-coming Sheridan Hollow neighborhood of Albany, on the corner of Sheridan Avenue and Dove Street. Editor's note: The Hungry Hollow closed in March of 2018. Hu's House opened at the end of 2017 in mid-December, taking over the old Bangkok Bistro location in Colonie. The chef/owner spent three years in culinary school in Shanghai, and the menu offers a very large selection of Shanghainese food. Kismet Mediterranean Grill opened in May at the former location of Bruegger's Bagels on Madison Avenue in Albany. Their dinner menu includes items like a Classic Gyro Plate, Shish Kebab Lamb, and Shrimp Kavourma. Lost & Found Bar & Kitchen opened on Broadway in the warehouse district of Albany in September. The restaurant has an outdoor patio space and a relaxed atmosphere. Mike's Neba, a breakfast and lunch restaurant, opened in Schenectady in June at the former location of Vic's Lunch. The restaurant gives off something of a nostalgic vibe, as the family who opened it used to own a Mike's-Neba franchise in the 1990s; they maintained the rights to the name (although dropped the hyphen) and recipes. A Loudonville pizzeria and sub shop has taken over the space previously occupied by Stromboli's. The restaurant has been named after Niko Dinovo, a teen who was badly injured in a car crash in 2016; Niko's is owned by Dinovo's aunt. They offer pizza, salads, sandwiches, and hot and cold subs. Oscar's Pizza opened in Colonie in the spring in the former location of Phoenicians Restaurant. They have an extensive menu of gourmet pizzas along with calzones, strombolis, hot and cold subs, wraps, burgers, gyros, and more. Taverna opened in downtown Albany in December across from the Times Union Center and is run by the same owner as The Greek House in Troy. Taverna is small, with seating for about 20, and is primarily used for takeout. 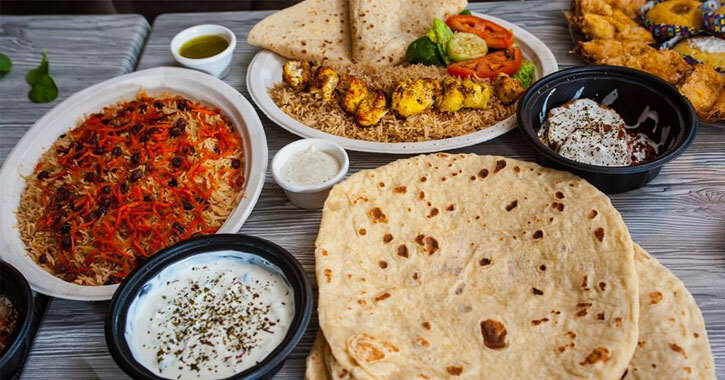 Zaitoon Kitchen can be found in Latham near the circle and it offers a twist on Afghan cuisine, which has an emphasis on wheat, maize, barley, and rice. You can also look forward to using them for catering in 2018 - they've been providing catering services for all the major hospitals, offices, and more in the Capital Region. The popular local hot dog chain opened a fifth location in Troy in May. Hot Dog Charlie's is known for their miniature hot dogs and addicting chili meat sauce. The other locations are in Latham, Clifton Park, Cohoes, and Rensselaer. Jack's Diner opened Jack's Diner II in December across the street from the Albany Institute of History & Art. It's in the space previously occupied by Blue Flower Thai. Johnny Rockets can now be found at the Times Union Center in addition to Crossgates Mall. The 1950s-style restaurant opened in May and has the typical burgers, sandwiches, etc., that you can expect from Johnny Rockets. However, unlike many other Johnny Rockets, this one has a full bar. Slidin' Dirty, which started out as a food truck venture, opened its second restaurant in Schenectady in June. Slidin' Dirty considers itself to be a gourmet slider company. The Albany area now has two Sonics. The second Sonic Drive-In opened in Troy in February following the success of the Latham Sonic that opened in 2015. Tara Kitchen, a Moroccan restaurant, has opened a second location in Troy; the original establishment is located in Schenectady and opened in 2012. Their extensive menu is mostly free of gluten, nuts, soy, dairy, and sesame, making the restaurant a great choice for those with allergies. Collar City Brewing is working to take over the former Mount Ida Community Baptist Church building in Troy. The business is expected to have two kitchens, one specifically for preparing food for those with allergies or other dietary restrictions. They are hoping for a May opening. The Galesi Group is opening The Shaker & Vine, a self-serve wine bar, at Mohawk Harbor in Schenectady. This unique bar will also include a full service kitchen and bar with gourmet grilled cheese sandwiches, flatbread pizzas, and more. They're expected to open in early 2018. The Tipsy Moose Tap & Tavern in Latham has been doing so well a second location will be opening in 2018 in Troy. A spring opening is tentatively planned. The Tipsy Moose in Latham opened in June of 2016 and they offer great pub fare with a selection of "Signature Mac & Cheese" options and a wide selection of beers.